Annapolis Fire Chief David L. Stokes, Sr. has announced the City’s first graduating class of a citizen CPR class and a Basic First Aid course taught entirely in Spanish. 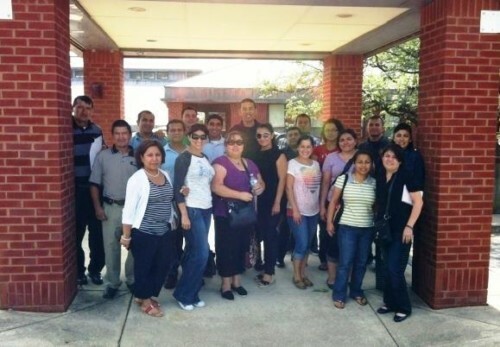 On September 8, the Annapolis Fire Department, in conjunction with Iglesia Hispana Emmanuel, offered the class with a specific focus on the Spanish speaking community. A total of 25 people were certified in the life saving techniques of CPR and First Aid. The Annapolis Fire Department has a long history of providing citizen Cardio Pulmonary Resuscitation (CPR) and First Aid courses. Chief Stokes recognizes the life saving benefits of early citizen CPR and the Annapolis Fire Department is committed to making the life saving educational opportunity available to this significant part of our community. For more information about future CPR classes please contact the Annapolis Fire Department’s CPR coordinator by email: [email protected] or by phone: 410-263-7975.